Here it is in pure delayed fashion, my "What I Got For Christmas" post! We had to postpone one of our Christmas dinners in December due to snow and just got around to having it last weekend. So it was a mixture of that and dealing with a death in the family that this post was so delayed. But now I'm back to the grind! If you hate these types of posts, please just skip it. 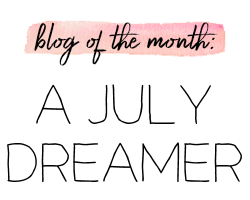 I have loads of other posts to read, if you'd like. Just scroll through the archives! I post this not to brag, but a lot of these items are still available and might give you some future gift ideas for others or for yourself. 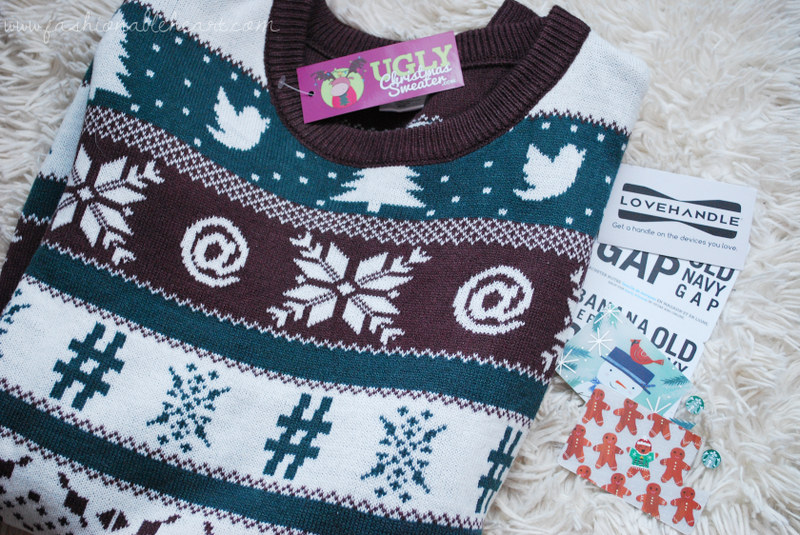 ^ I got this amazing Twitter-themed ugly sweater and I'm already excited about wearing it later this year when the holiday season sneaks up on us. It's so soft and speaks to my Twitter-loving soul. I didn't see it on the Ugly Christmas Sweater website, but I'm sure it will come back. I also got a Lovehandle for my phone. I have a PopSocket, but these were new to me. It's an elastic band to slip your fingers through. It's on one of my cases now and I'm loving it. And there's a few of my giftcards. I got others and does it even have to be said that they will or already have been put to good use?! ^ My MIL made her gifts for us this year. She made me a fleece teddy bear blanket and infinity scarf. 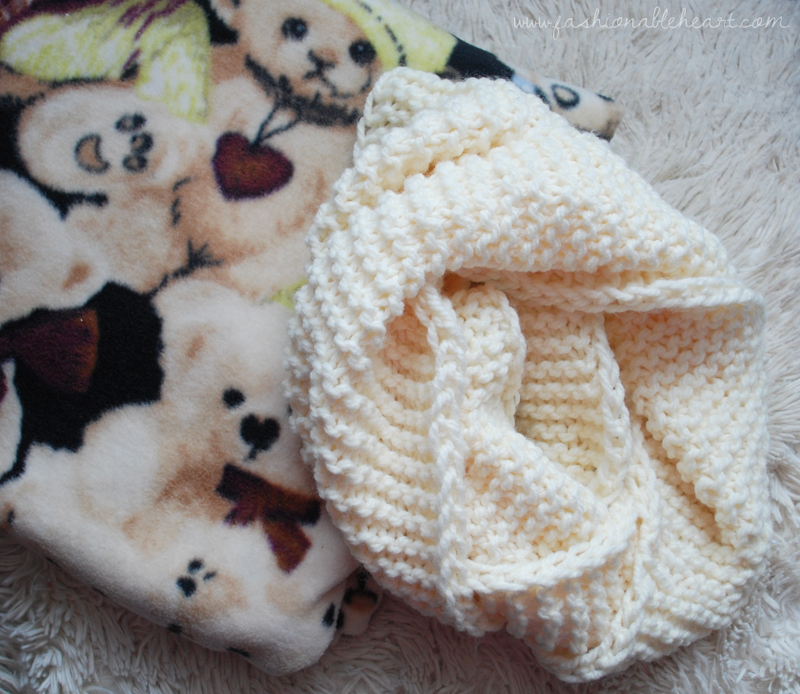 Both are so warm and cozy. 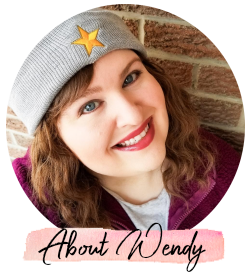 We co-run a knitting and crocheting business called Warm and Fuzzy Knits, so she knows a thing or two about these things! ^ My SIL got me these stoneware bowls that I think she might have found at Costco. They go from fridge to microwave and I am obsessed. I love bowls like this to keep leftovers and snacks in. And they look so pretty stacked in the refrigerator. 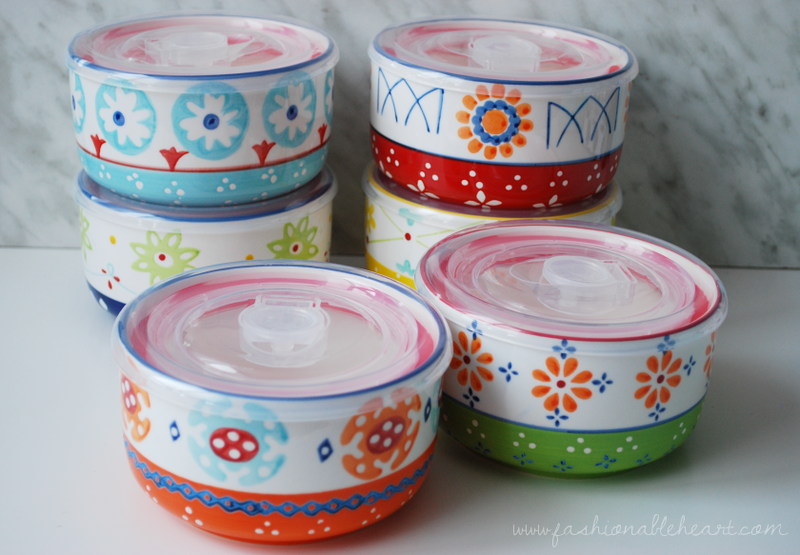 If you're a foodie who loves leftovers, I think you would get great use out of these. The brand is Signature. 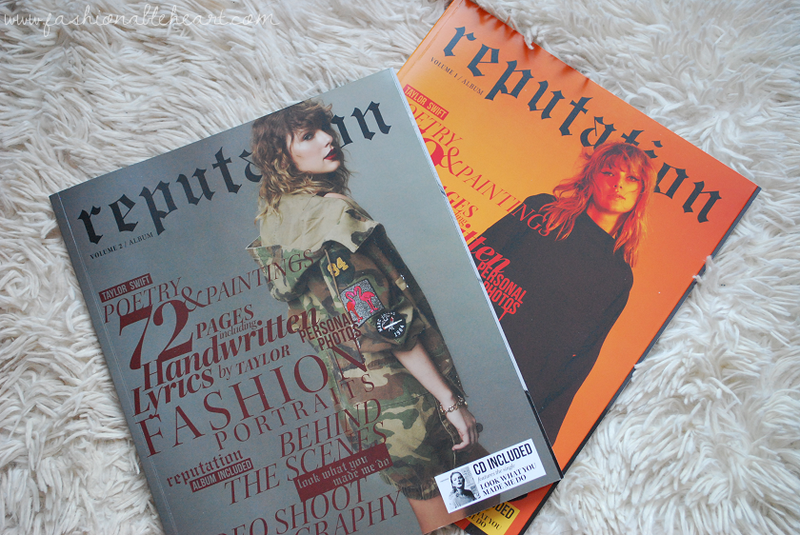 ^ My friend Daniel got me the two magazine versions of Taylor Swift's Reputation, which I am beyond obsessed with. Don't Blame Me is my jam. He also covered the rest of the cost of a ticket so that we can see her together when she comes to Toronto. I missed her last time because of my knee injury and I can't wait to go! If you have listened to it, let me know your favorite song. Don't Blame Me, I Did Something Bad, This is Why We Can't Have Nice Things, and New Years Day are among my most played. ^ Not technically a gift, but I won this from Hello Canada magazine! Expect a post soon. ^ I had been wanting a pair of wireless bluetooth headphones, so this was a timely gift. 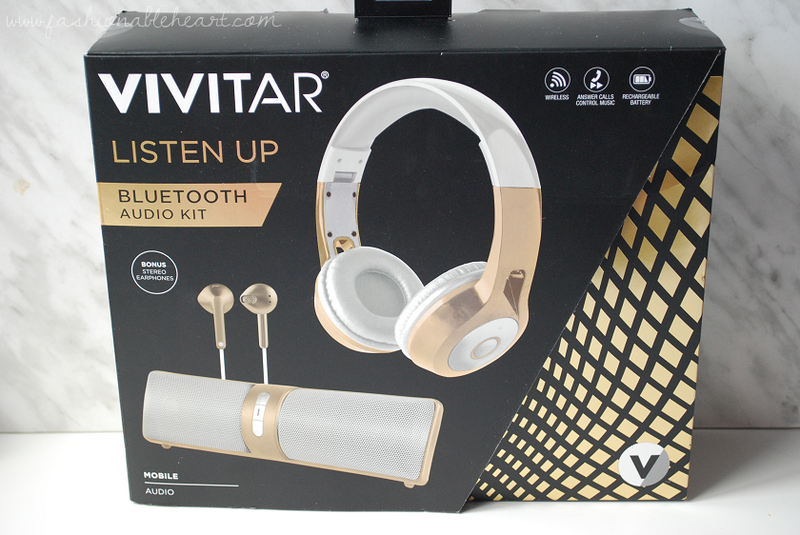 The Vivitar speaker and headphones have pretty good sound. It can get a little muffled as the sound gets louder, but I'm going to go ahead and sound like your grandma and say that your music shouldn't be that loud anyway. And on a superficial note, the gold is stunning. 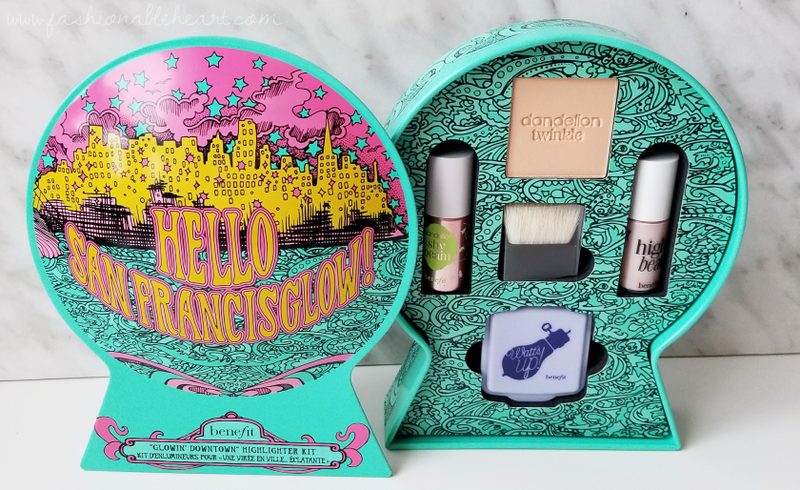 ^ Look at that cute packaging. I can't handle it! This set came with the perfume, a rollerball and gloss duo, and a body lotion. It has a very light and clean scent. 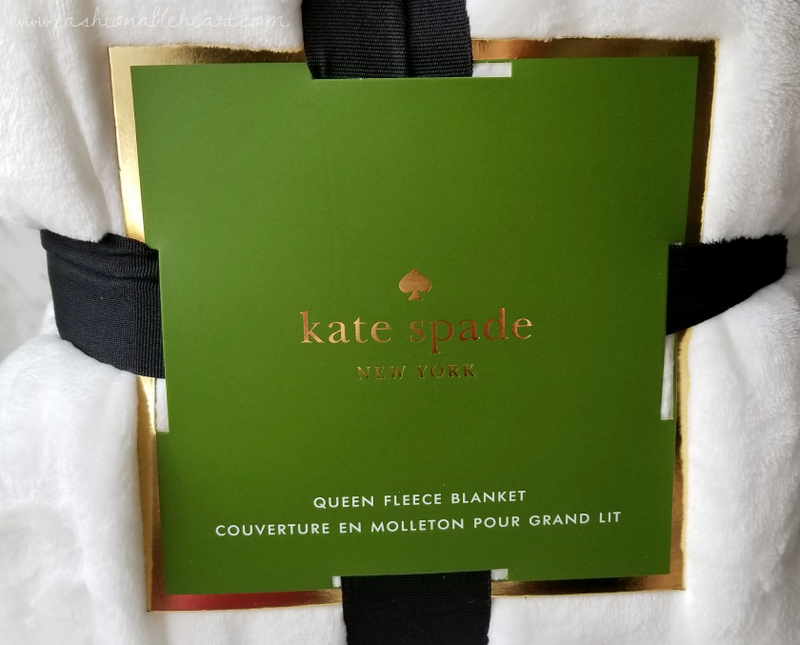 ^ And while on Kate Spade, my SIL found this blanket at Costco. If you see one, grab it. It is the softest thing ever and you'll think you're in a cloud while bundled up in it. 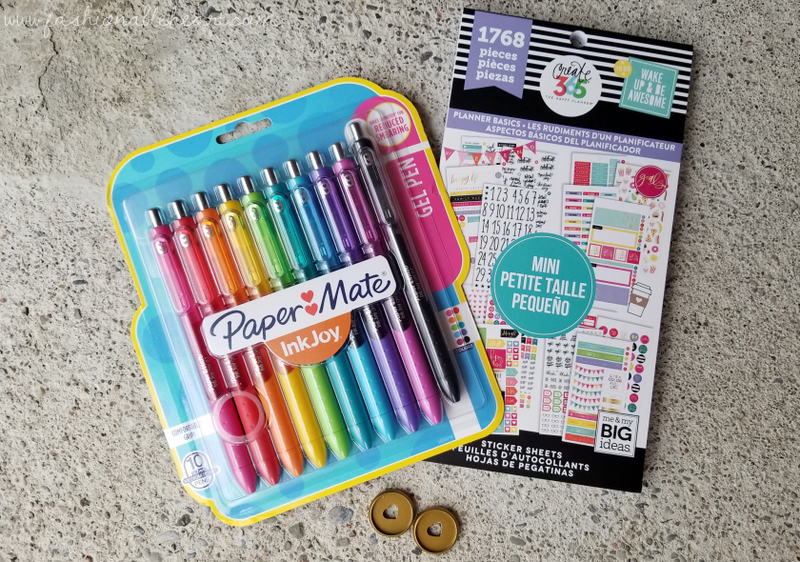 ^ Lastly, a few planner and office supplies. I love the InkJoy pens and can't recommend them enough. I got a package of the mini Happy Planner discs to help with my loose Happy Planner things. I was so happy when I saw the mini sticker books come out. I have the larger size version of this book, as well. They do differ a bit! It's so nice to have some stickers that are sized for the mini HPs. So there we have it. I hope you all had a great holiday season and start to 2018. If you did one of these posts, let me know. And tell me what you got or what your favorite gift was (giving or receiving) in the comments below! Like I said, I'm a nosy you-know-what. Ha!